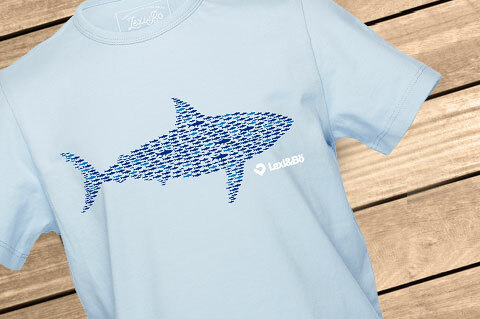 Details "Smart Sardines Boys T-Shirt"
Small fish - great effect! 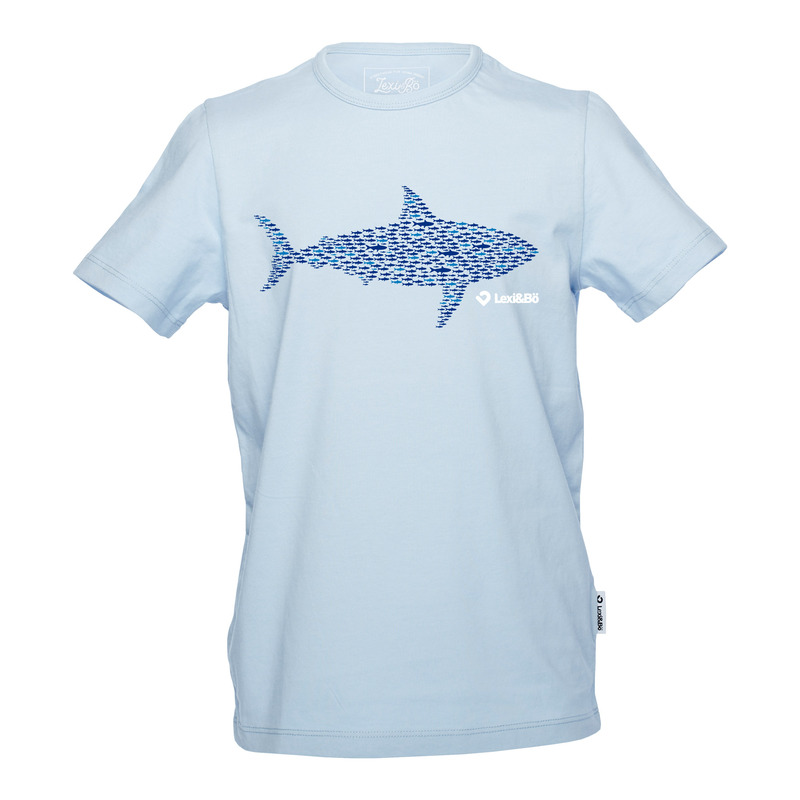 Our Lexi&Bö Smart Sardines t-shirt for boys in blue will impress you with its simple basic style and its smart design. The big blue front print shows many small sardines in the form of a shark. It's a real eye-catcher and makes little boys big. The motif was applied with a water-based and environmentally friendly color and like the high-quality blue fabric of the cotton shirt it is free of any chemicals. With its straight loose cut it's super comfortable to wear whether your child is in kindergarten, at school or on the street. 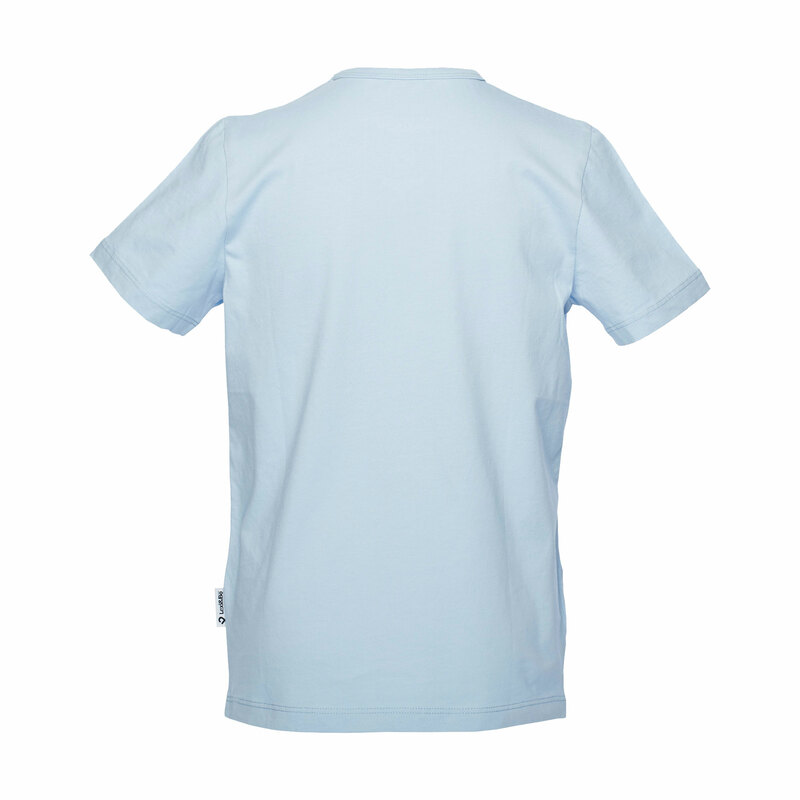 It has a reinforced crew neck and thick seams at the hem and at the short sleeves. This protect the shirt from wearing out and give your child more freedom of movement. All our shirts have double-stitched seams. In that way, we guarantee the stability of form and size even after repeated washing. The shirts are made of 100 % organic cotton. 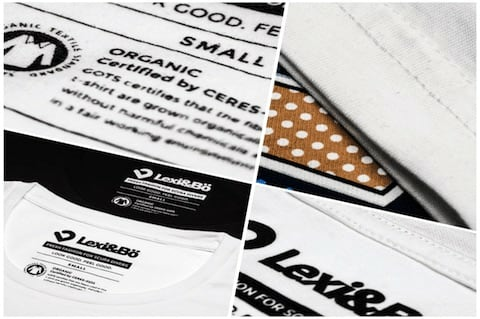 Our kids shirts have a fabric thickness of 150g/m². We exclusively use high-quality yarns from the company Otto Garne in Germany. The single fibres of these yarns are particularly long and very stable. In that way, it is easier to produce the shirts but without losing quality. A soft tape in the neck ensures that the seam doesn't itch. Customer evaluation for "Smart Sardines Boys T-Shirt"